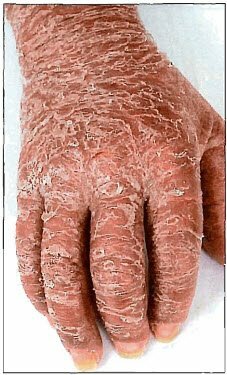 Definition: Psoriasis is a common chronic recurrent multifactorial disease characterized by cutaneous inflammation, silvery scales, and parakeratotic immature cells in the stratum corneum due to accelerated epidermopoesis. Rapid cell movement from the basal layer to the stratum corneum layer due to rapid cell turnover. Nucleated Keratinocytes (Epidermal Cell) are present in the stratum corneum. These nucleated cells are called parakeratotic cells and the condition is called parakeratosis. 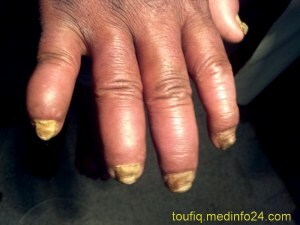 But in psoriasis turn over time is only 3-4 days. 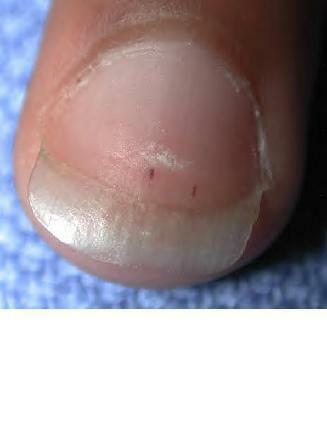 Silvery scales are due to air trapping within the cell layers accumulated in the surface of the skin. 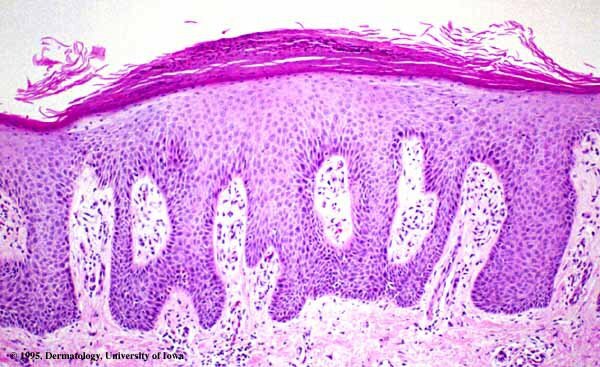 Regular epidermal hyperplasia, Test tube shaped ridges, dilatation of dermal papillae. 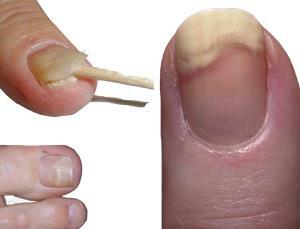 Removal of scales cause pin point bleeding called Auspitz’s sign. Munro Micro Abscess composed of degenerated polymorphonuclear leukocytes (PMN’s) in the horny layer (stratum corneum) and are seen in psoriasis and seborrheic dermatitis. 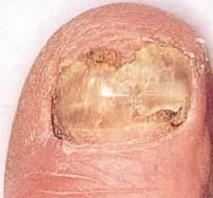 Example of Munro microabscesses in Psoriasis. 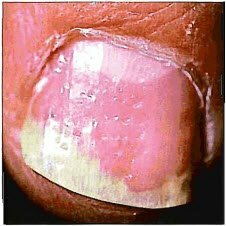 Usually Lesions are bilateral & symmetrical and involve the external surface. 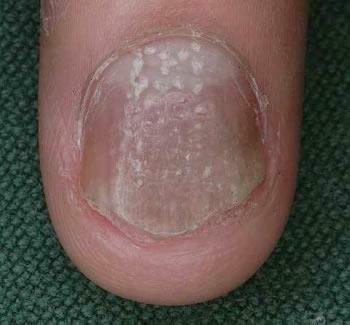 Lesions may be single or few patches. 8. 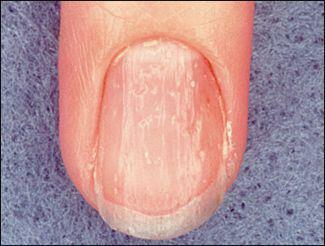 Guttate psoriasis and Flexural psoriasis may be pruritic.